We’ve been engineering and manufacturing centrifugal fans for over 100 years and we’ve grown the product line through acquisition. Our goal? Continue to have more expertise than anyone else in the market. 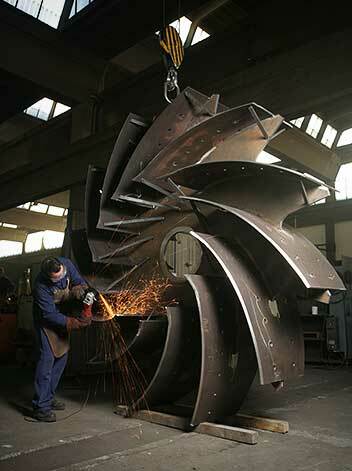 We’ve created over 30 main centrifugal fan designs yet customize each one for every customer. Our expert team will design the optimal combination of materials, blade design, impeller size, etc., so that your objectives are met or surpassed. 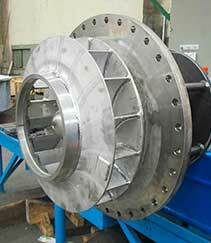 We can engineer and manufacture our centrifugal (radial) fans to operate with nearly every process condition, in any type of application across a multitude of industries. Corrosion resistant materials including stainless steels, duplex steel, titanium, Inconel, Hastelloy, etc. 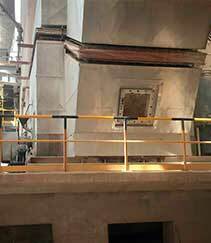 We can test ducts of up to 3 m (10’), balance up to 5 m (16’) diameter and up to 40 tons, run tests at full speed for fans up to 5 MW (6705 hp), and complete unit tests for motor ratings of up to 5 MW (6705 hp), with a 11 kV supply. 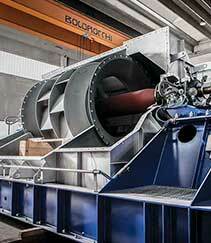 We can machine shafts up to 30 tons, impellers up to 5 m (16’) in diameter and shrink up to 12 m x 5 m (39’ x 16’). Few other companies in Europe and in the world can offer this.